"The artist who did this piece was Everett Magie out of Alien Ink Tattoos (@alieninktattoosnj). The back piece itself is a cover up. 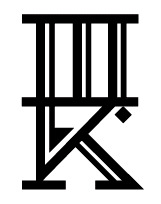 Previously my back had an assortment of tattoos that in my 20’s I believed were a good idea. Some of the gems were a Chaos Cross tramp stamp and a bar code. 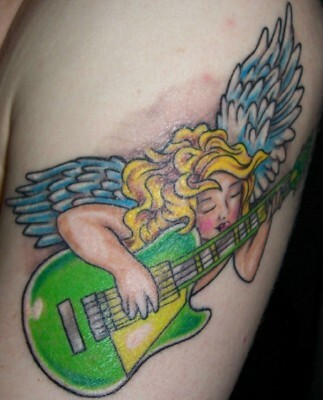 When I begin the cover up, I wanted to reflect the change in my world view since my twenties. I have moved away from the angst-ridden belief that everything was chaos and that humans were nothing more than cogs in a callous world. I wanted to instead focus on a more spiritual path, one filled with optimism. 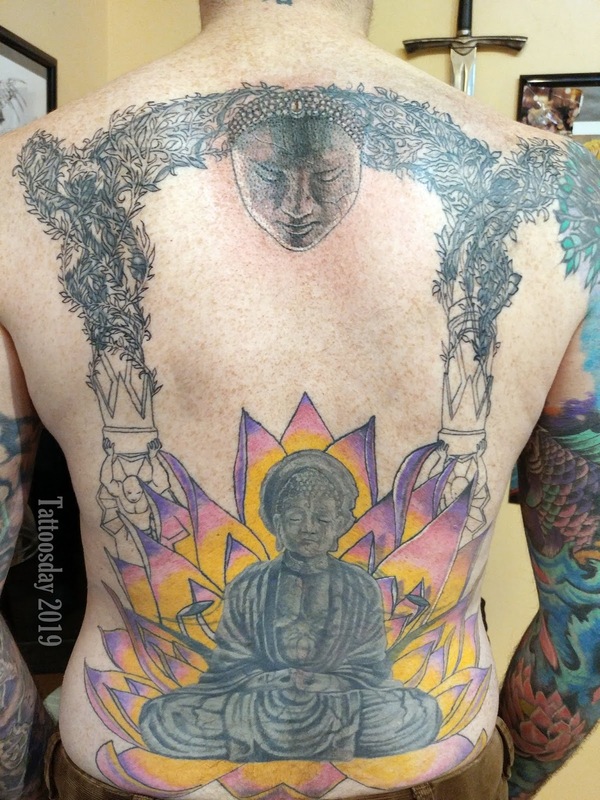 While the piece is still in process the main components are there: The Buddha sitting on a lotus, a Buddha face watching my back, and the beginnings of temple pillars." I wonder how a forest will look when it turns to stone, aged by lack of human hands. If only I could choose the time and day, I become petrified flesh. Perhaps it is better to molt a trail of discarded pasts behind. Frame them a pinned anthropology of the self. Each moment mounted on the wall, stored in desk draws like beheaded wasps and fractured shells of beetles. Come stranger enter into me, but only the husks I was. This is easier than looking in eyes and explaining why. Or describing the notes tacked to walls of how a past me believed a future me should be. Fill this shell with stories and watch how it breathes. Fill this shell with movements and it will seem to touch and offer a hand in need. I prefer not to remember how old skin merely seeds the growth beneath. Chris Caruso earned MFA’s in Creative Writing from Boise State University and Rutgers University Newark. His poems appear in online and print journals. He’s lived in several states and just moved back to New Jersey after seven years in Boise, ID. Chris hopes to eventually live in a small cottage with a koi pond in Oregon. Thanks to Chris for sharing his tattoos and poem with us here on Tattoosday!